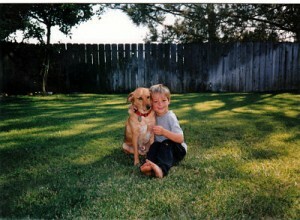 In 2004 we lost our beloved companion Cajun, to end-stage liver disease. Cajun came into our lives thanks to FOCAS, a local rescue group. We attended a dog adoption event at Balboa Park and spotted Cajun, an older beagle terrior-mix. He seemed very sweet and friendly yet a little shy. We were curious about his name, and were told that it originated because his life consisted of a lot of “cage in, cage out”. After making our rounds, we kept coming back to Cajun, knowing he was the one. After an on-site interview to make sure we were suited to each other, a bit of adoption paperwork and fees, we were on our way! As we opened our car door, Cajun jumped in without hesitation as if he knew he was on the way to his forever home..